Debutant Vijay Ratnakar Gutte's The Accidental Prime Minister began its box office journey with a fairly good start despite receiving poor reviews from critics for its weak narration and cliched performances. Anupam Kher's movie has managed to earn Rs 4.50 crore on its first day at the box office. The film is based on Sanjaya Baru's book of the same name, which tells chronicles former prime minister Manmohan Singh's tenure. 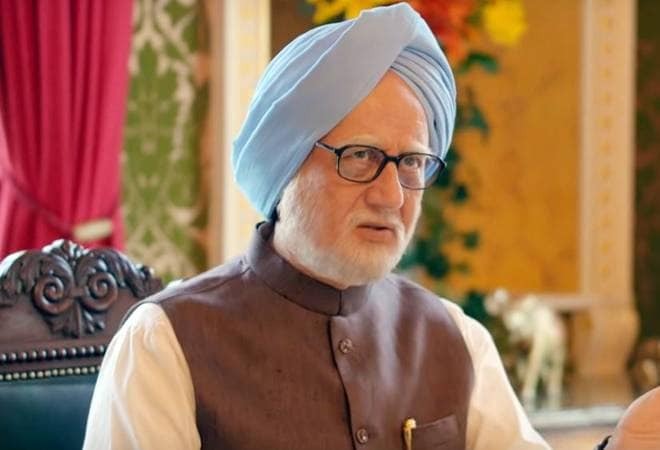 According to early estimates by trade experts, The Accidental Prime Minister has grossed nearly Rs 6 crore on its second day, therefore making a total collection of around Rs 10.50 crore so far. Anupam Kher's The Accidental Prime Minister is facing tough competition from Vicky Kaushal's military drama Uri: The Surgical Strike and Ranveer Singh's action-cop-drama Simmba. Uri, which was released along with The Accidental Prime Minister on 11th January 2019, has started its box office journey with a collection of Rs 8.20 crore. However, Rohit Shetty's Simmba, which was released two weeks ago, is still dominating the box office and has earned over Rs 350 crore as its global box office and might affect the revenue of both The Accidental Prime Minister and Uri: The Surgical Strike. The Accidental Prime Minister claims that Sonia Gandhi, former president of Congress, interfered in Manmohan Singh's duties as the prime minister and controlled the workings of the PMO. Vijay Ratnakar Gutte's movie has also been receiving backlash for allegedly attacking Congress, ahead of the Lok Sabha elections. Anupam Kher, who plays the role of Manmohan Singh in the film, has denied all allegations of supporting the ruling party. "We have made this film with a lot of sincerity and we don't have any political agenda behind the release of the film," he told IANS. He also added that this is the best performance he has given in his entire career as an actor. Apart from Anupam Kher, the political drama features Akshaye Khanna as Sanjaya Baru, Arjun Mathur, Aahana Kumra, and Suzanne Bernert in the role of Rahul Gandhi, Priyanka Gandhi, and Sonia Gandhi respectively.